Chilled product vending from these trikes is a fantastic way of getting your cold smoothies, cocktails or yoghurt next to your customers or used as a promotional trike to handout free samples of your product. 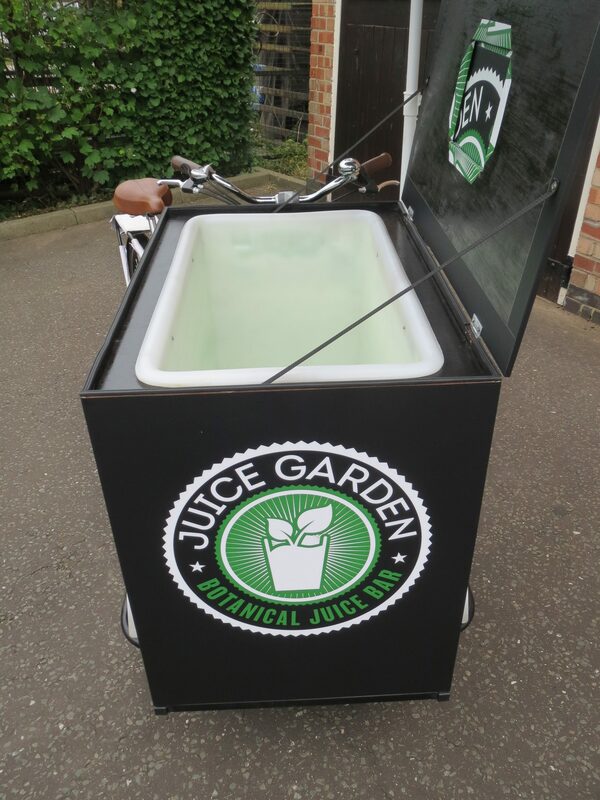 The trike can be fitted with a 12v fridge unit powered by an integral battery or a insulated vending box with freezer packs. These insulated boxes have a plastic food grade interior and are made to order to suit the amount of stock that you need to carry. 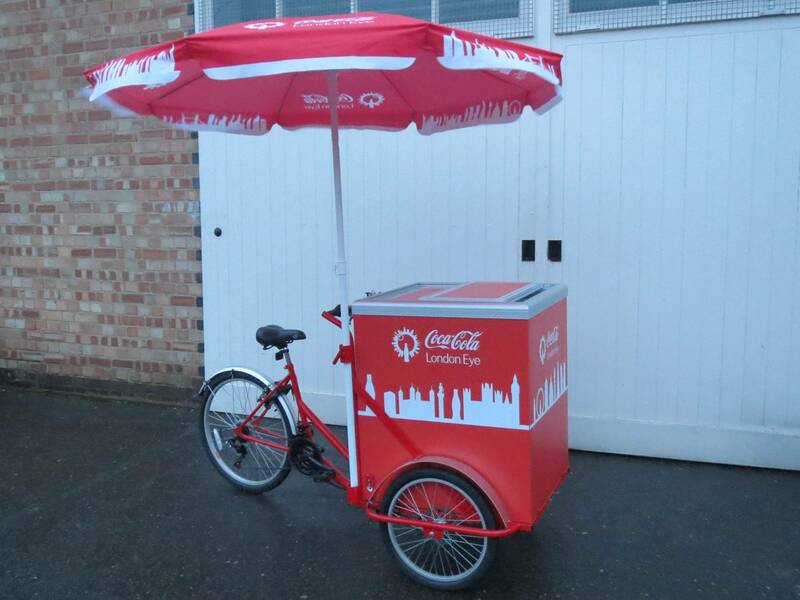 Branded parasols, livery, custom frame colours, advertising panels etc can all be incorporated into your drinks trike. 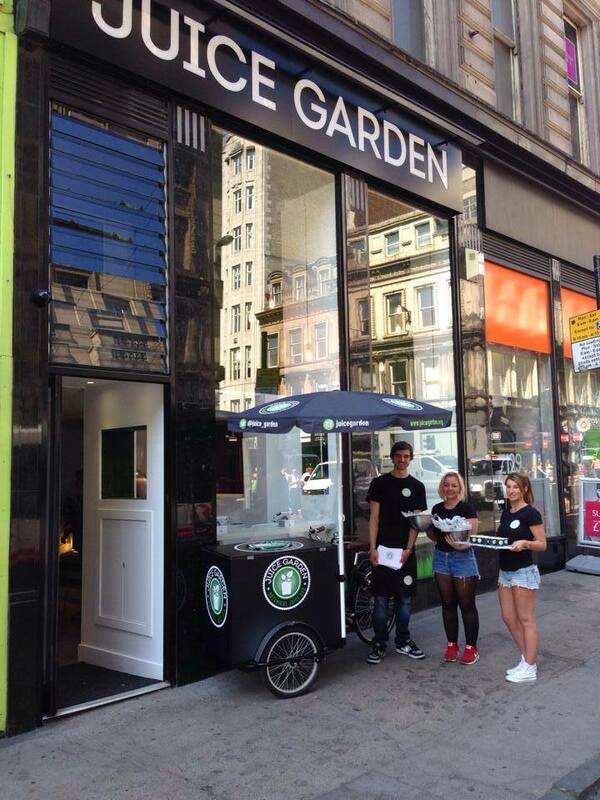 Products such as cheese and yoghurt can be sold from these trikes all year round. 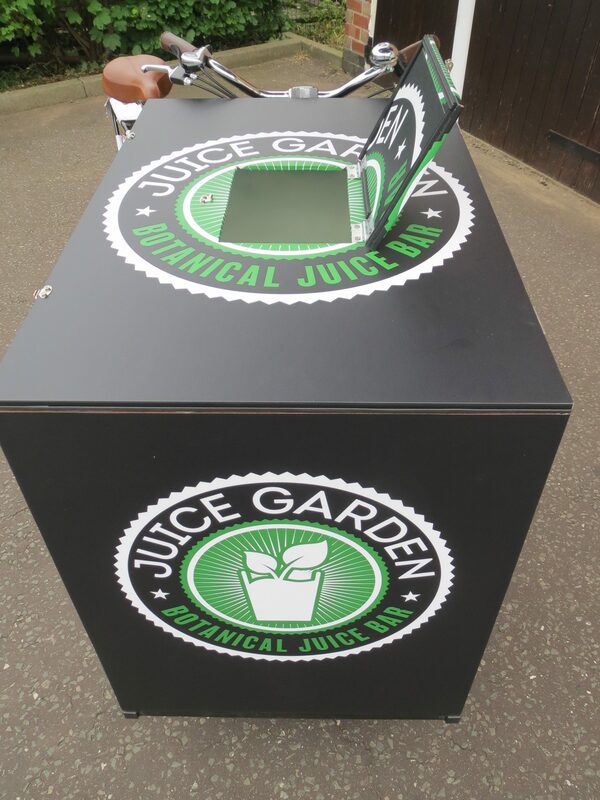 However if your product is more suited to summer months the chill box can be removed and replaced with a hot box. These hot boxes for a great base for selling tea & coffee, soup, mulled wine etc. Again each hot box is design and built to your specifications.